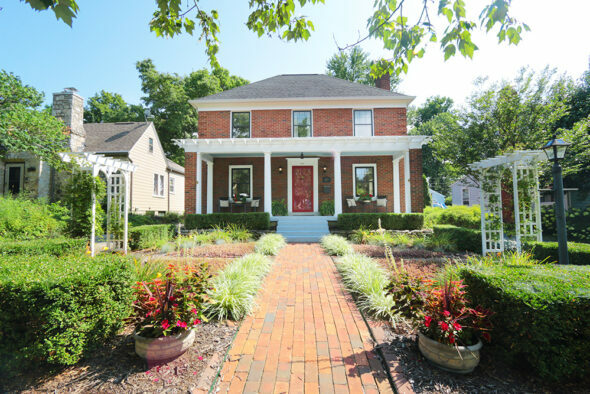 Home » Classic Brick center entry in the Heart of Clintonville! Classic Brick center entry in the Heart of Clintonville. Enjoy the end of summer on the extra deep full front porch overlooking the classic English front garden or entertain family and friends in the formal dining room. The formal Living room is the perfect size for a baby grand. The kitchen, with new cabinetry and granite counters, and family room span across the entire back of the house. The breakfast room also doubles as a butlers pantry. The second floor offers 5 great sized bedrooms and two full baths. The rear two bedrooms and bath would make for a great future owners suite. Hardwood floors are throughout the house. The seller has pictures of the hardwood under the carpet.